I believe we don’t take that into account very often. Life is painfully beautiful. One day you wake up with pure joy in your hands, the entire day is the most perfect gift you could ever wish for, in this moments, life flows easily and you feel blessed for it. There are dark times as well, challenging times, times where emotions like happiness seem just childish. What is needed then, are deeper, darker and stronger emotions. Character arises from our depths. Mayhem, destruction, hate, jelousy, anger. God forbid you to feel this dark emotions too often but trust me. You are going to feel them. There is great power in our darkness. There are situations in life where a “positive attitude” will get you nowhere, force and damage must be done and we must be readily capable of performing. Know this. You are not a “good” being. You are an infinelty complex entity that is rarely definable by good and bad, it’s just not that easy. The ancient stoics claimed that everything that happens to us or better said all the externals (our bodies, fortune, our experiences) are material for virtue. We carve ourselves from ourselves. Everything inside us, is material for carving. Anger is great material for excercise to give an example, envy is great material for work. None of our emotions are to be scorned, they are material for virtue. Use them accordingly. Once you had passions and called them evil. But now you have onlyyour virtues: they grew out of your passions.You set your highest goal in the heart of those passions: then they became your virtues and joys. And though you were of the race of the hot-tempered, or of the lustful, or of the fanatical, or the vengeful; in the end, all your passions became virtues, and all your devils, angels. Once you had wild dogs in your cellar: but they changed at last into birds and charming singers. Out of your poisons you brewed soothing ointments for yourself; you milked your cow of sorrow — now you drink the sweet milk of her udder. And nothing evil grows out of you any longer, unless it be the evil that grows out of the conflict of your virtues. Realize this, and you will be powerful. Nothing is to be scorned, Amor Fati, love everything that happens. What is it about freedom that is so appealing to us human beings? Why does Nietzsche spoke so proudly of “us, the free man”? He said that god is dead, that we killed him, and if he is dead someone asks, who is making the rules? Nietzsche says: Nobody! and if nobody is making the rules, then anybody can make them. There are a few men whom slavery holds fast, but there are many more who hold fast to slavery. We are scared of freedom, we care too much. 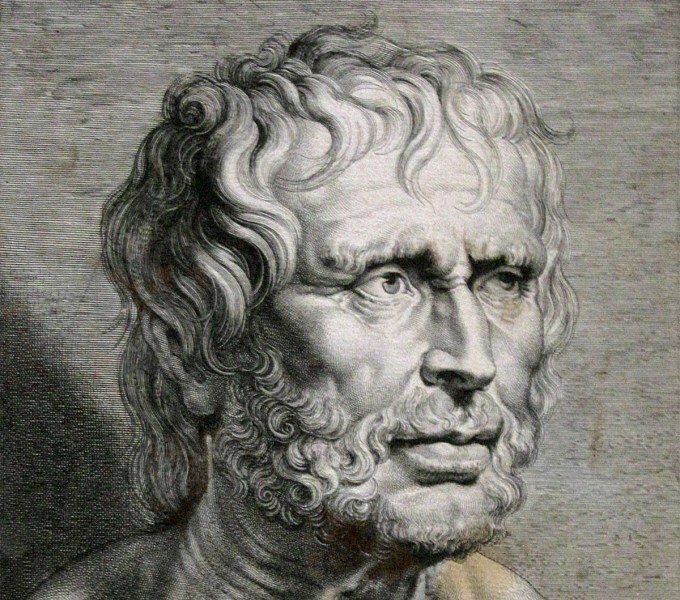 We care about how we look, we care about what other people think about us and in doing so we hold fast to slavery as Seneca says. To make your own rules is to choose what you yourself like and don’t like and be open about it, this is living virtuously and from truth. Your truth. A free man has a great responsibility, most people scorn freedom. It is a heavy burden, to be free. A free man must choose on his own accord what is best for him, but how the hell can he know what is best for him? We can certainly look around and get an idea of what is best. We can learn from the great ones and take what we feel goes with us and simply not put attention to what does not resonates with us. But, the ultimate choice to be anything is ours. What is deep inside us? what are we? What is it in us that wants to be free? Maybe, precisely this is what Nietzsche was referring to when he said that if you stare long enough at the abyss, the abyss will stare back. Scary to know yourself so deeply and without filters, but it is in that innermost space where ultimate freedom is. That thing in which we must put our hopes in, is the self (that thing that stares back from the abyss). Not choosing voluntarily to be free has its consequences. Sounds eerily familiar doesn’t it? When we don’t choose to make our own choices, they are going to be made by someone else. Making choices is hard, it requires courage and a leap of faith must be made. Go lock yourself in your room, meditate, think about your life. If you are quiet long enough what will happen is that you are going to begin to see all the chatter of your mind, most of it is not even yours, repeating the same old stuff. It’s not even original, it’s boring, everyone is thinking about the same things: work, my likes on facebook, money, looks, men, women. It has become blatantly boring We need differences and variety. We need more clash of ideas, from this class comes the creation of new and better ideas. Authenticity will not be welcomed nicely, you can be sure about that, but you have to train yourself in your truth and in your willingness to be free, if freedom is what you want. Of course, as previously said, this requires courage , face your fears of rejection, claim your freedom. To finish this quick review on quotes on freedom, I’d like to remember Frederick Douglass. I believe there are very few men who have as him tasted the sweet flavor of freedom more joyously. without witnessing an attempt, on my part, to secure my liberty. ocean, where we could be free. We knew nothing about Canada. imagined—the good to be sought, and the evil to be shunned. I can’t imagine a harsher situation than that of this great man. Today, we feel that we are slaves to our 9-5 job or our situation but it’s quite helpful to know just how much power there is in a human being. Frederick eventually gained his freedom and lived to tell us about it. Like him, claim yours. Everyone has a struggle but is precisely in the overcoming of our struggles where freedom lies.